Carol Ho is an Accredited Practising Dietitian and a member of the Dietitians Association of Australia. Carol has worked in Australia and Hong Kong with experience in aged care, weight management, chronic disease management, food allergy/intolerance and disability. Carol is passionate about helping clients to make better food choices through practical ways. Carol can speak Cantonese and Mandarin. 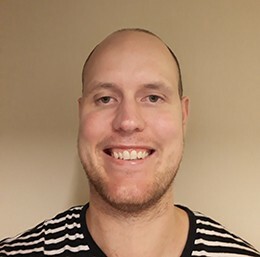 Ben Heyde is an ESSA Accredited Exercise Physiologist, with experience in Strength and Conditioning, Rehabilitation, and the management and ongoing treatment of Chronic Diseases and injuries. As an Exercise physiologist, I have a passion for exercise and using it as a form of medicine to help inspire people to cause positive changes in their life both mentally and physically. I am a task focused team player, and look forward to working in a collaborative team of doctors, physios, podiatrists, dieticians, and Exercise Physiologists to elicit the best patient care possible. Chloe Pang is a registered Psychologist with AHPRA and an Associate Member of APS. She has worked as a Psychologist/Counsellor in various settings including government sectors (Victims of Crime, Disability Services) schools, community health centre, drug and alcohol treatment services and private practice. She also conducts in psychological assessment and treatment in Cantonese and Mandarin. 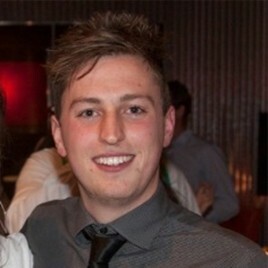 Steve Rees has worked both within Australia and England across a number of physiotherapy disciplines including physical rehabilitation, outpatients and private practice. Steve also has a degree in Exercise Science, which has given him expertise in designing tailored exercise programs for people with different conditions and injuries. 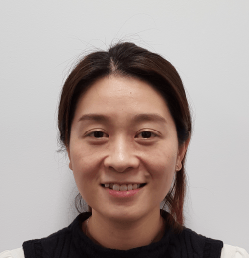 Shoufarn Chung is a qualified Audiologist currently practicing in Victoria, with 7 years of experience in both metropolitan Melbourne and country Victoria. He work mainly in adult diagnostics and rehabilitation of hearing loss, involving private patients, pensioners, as well as Workcover claims. 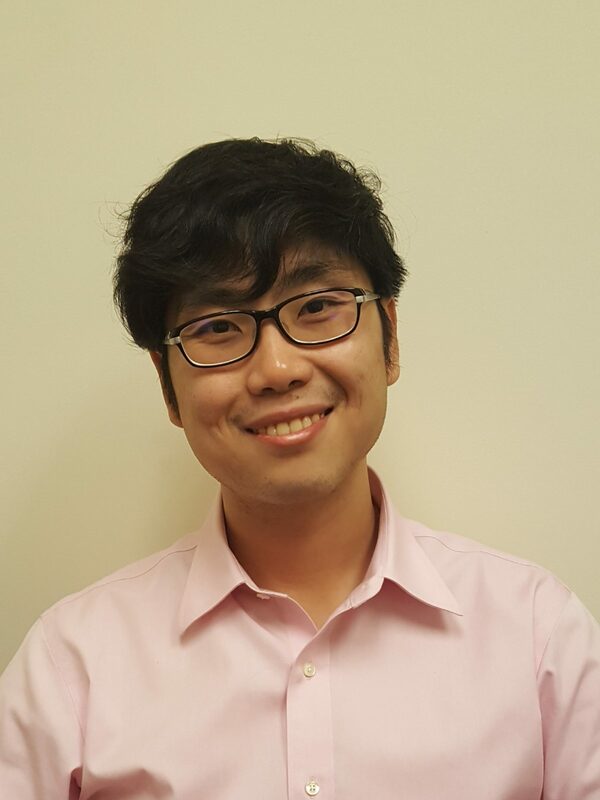 His background prior to audiology is in the biomedical sciences, which gives him an analytical approach to his work. He strongly believe in educating his clients, and to demystify their hearing loss as well as the rehabilitation journey ahead of them. 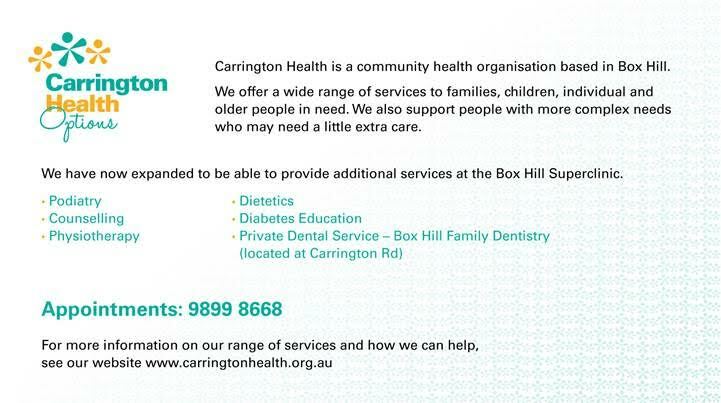 * In partnership with Carrington Health, please call us for more information.